I still remember the shock I felt when, at nine years old, I saw Emma Watson playing Hermione in the first Harry Potter movie. “She’s too pretty,” I hissed at my brother. In my mind, Hermione had hair at least double the size of my own, teeth with a gap that was noticeably larger than the one I sported and glasses — the one trait we didn’t share, making me only slightly cooler than she was. I sulked through the entirety of the film, refusing to cheer Harry on because of Hermoine’s pre-teen good looks. Watching the film adaptations of books can often be cringeworthy. Details are bound to be changed in ways that are typical of Hollywood: endings that were tragic are made happy, love triangles are created where none existed, female characters don’t meet your childhood expectations for homeliness. Sometimes, though, films are surprisingly true to the literature they’re inspired by or make changes that you couldn’t have anticipated. Many of this year’s Oscar-nominated films are based on books. Even the smaller categories, like “Best Original Score,” are populated by literary adaptations (e.g. The Book Thief by Markus Zusak). The biggest films up for Oscars are nearly all book adaptations, and each has some noticeable changes from their literary counterparts — some surprising and some so expected that they’re eye-roll worthy. So is the book always better than the movie? Read this list about where they diverge and decide for yourself. SPOILER ALERT: Do not continue reading if you’re not up to date on this season’s Oscar picks. According to critics, 12 Years a Slave intentionally omitted several key details of Northup’s autobiography. In the original, Master Ford, for instance, is one of the few decent slave owners the author encounters; Northup declares, “There never was a more kind, noble, candid, Christian man than William Ford.” In the film, however, Ford is noticeably harsher. The movie also omits the scene of the slaves’ Christmas celebration — one of the only occasions they were given a day off from work. Indeed, some argue, the importance of Christianity overall is purposely underplayed. Whereas, in the book, Northup himself is a Christian, the movie shows a version of the religion that is only used by slave owners to justify slavery. Though there has been some controversy around these changes, director Steve McQueen hasn’t spoken directly to them. Perhaps the differences represent an attempt to remove complexity from the situation, helping an audience understand slavery on basic terms; maybe an entirely hopeless narrative was necessary in order to impress upon viewers the desperation of slavery. Although including meager scenes of celebration might have added to the devastation of the film and the kind (albeit still racist) attitude of Master Ford could have served as a harsh juxtaposition for the other white characters, there’s something to be said for using the film to showcase nothing but the inhumaneness of the world of slavery. Either way, both the film and book are both worth experiencing. When real-life Philomena Lee reflects on some of the alterations Hollywood made to the story of her son's adoption, she laughs. “I was a bit of a dumb cluck in the film,” she says, but justifies the changes because “It had to bring a bit of laughter into it. Because it’s so sad, you know.” Although, according to Lee, the film is largely an accurate representation of her character (though she argues that even the book represented her son as having a dark side that wasn’t there), filmmaker Harvey Weinstein has been accused of deliberately demonizing Sister Hildegarde McNulty, the nun who facilitates Lee's adoption. Weinstein has been accused of making anti-Catholic movies before, and the film is certainly an exaggeration of McNulty’s character. The filmmaker, however, isn’t totally to blame: Sister Hildegarde was, unfortunately, deceased by the time the book’s interviews were conducted, resulting in a story missing an important piece of its narrative. Though perhaps the least likely candidate for an Oscar film that stays largely true to the book it’s based on (that yacht scene — I mean, come on), The Wolf of Wall Street is largely grounded in not only literary details, but real life ones. The New York Times even conducted an interview with one FBI agent who worked on Belfort’s case and declared, “Everything he wrote is true.” Some minor details of the story, such as the way Belfort met his business partner, Donnie Azoff, were altered for the movie. Animal rights activists, too, can rejoice: The biggest change made for the film was the addition of fictional scenes in which chimpanzees were kept in the office, to which Azoff has scoffed, “I would [...] never abuse an animal in any way” (though he does admit to the scene in which he eats a live goldfish). The film also fabricated the scene of an office game of dwarf-tossing, though Belfort has admitted to once hiring dwarves for entertainment at a party. One last difference: Leonardo DiCaprio is way taller than Belfort is. The real-life Captain Phillips has recently come under fire for his portrayal of his own heroism in his book. Crew members have argued that, although it may have been Phillips who saved them from hostage, it was the Captain whose careless decision-making put them there in the first place. While the seed of Phillips’ heroic portrayal was planted in the book, the movie enhances the image even further, with scenes of Phillips declaring, “If you want to shoot someone, shoot me!” which the Captain says never really happened. Other dramatic aspects of the film, such as the note Phillips wrote to his family while on the lifeboat awaiting rescue, were created, it seems, to further enhance the story. And the heart-wrenching final scene of the film? It was entirely improvised, Hanks has stated. Every year, at least one literature-to-film adaptation falls victim to the most commonly committed Hollywood offense: the happy ending. This year, August: Osage County is that victim. The Pulitzer Prize-winning play ends with Violet Weston being effectively abandoned by her daughters after her incessant antagonization, and the movie follows that abandonment with one final scene: a happy moment for her eldest daughter Barbara. Director John Wells can’t be blamed for this one, though; apparently test audiences at initial screenings of the film demanded a happy ending, at least for Barbara. Even so, the movie isn’t what you’d call “uplifting”; after all, as both Wells and Letts have pointed out, there’s no happy ending for Violet. Though praised in the press for its depiction of female characters, Disney’s Frozen has also received plenty of criticism for removing a scene in which female character Gerda saves her male best friend Kai. 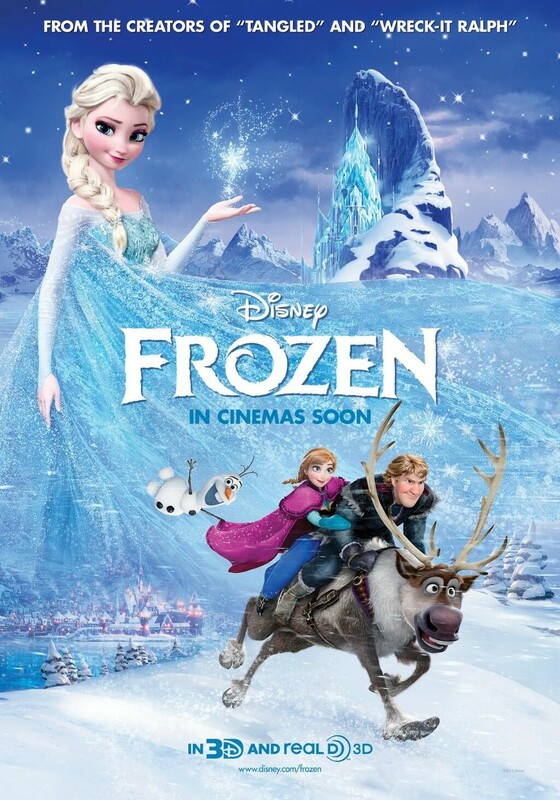 In fact, the Disney movie has no Gerda and Kai, instead telling the story of characters with names like Elsa, Anna and Kristoff. (Which set of names you’re more likely to hear in a Brooklyn kindergarten class is debatable.) Another change to the Disney movie: saying the Lord’s Prayer isn’t what allows the good characters to save the day; instead, good triumphs over evil through friendship, fairness and determination. The reasons books’ plots are changed for their film adaptations are numerous. Some are practical decisions; a first-person perspective, for example, doesn’t always translate onto the big screen. Besides, what sells in literature doesn’t always sell in a movie, particularly when it comes to a big name production, as these Oscar-nominees are. While a movie is bound to be different from the book it’s based on, sometimes changes provoke interesting dialogue, like that surrounding the differences between the 12 Years a Slave book and film. And, if they don’t, there’s always another opportunity next Oscar season. Adina Applebaum is Michigan native studying English and creative writing at Barnard College. Her crowning achievements in life are memorizing the entirety of lyrics on the Slim Shady LP and eating an entire gallon of chocolate-covered raisins during orientation week of college.